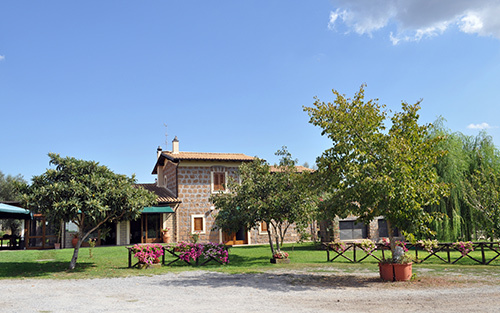 Within a short distance of Rome, I Due Casali Farmhouse is located in Vetralla, a lovely town and comune in the province of Viterbo. 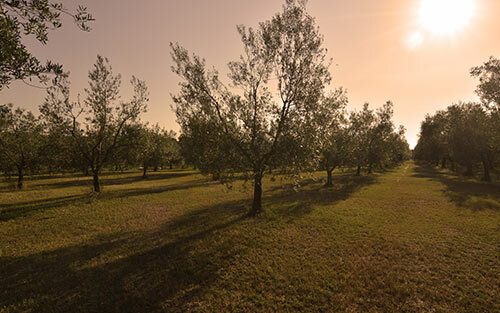 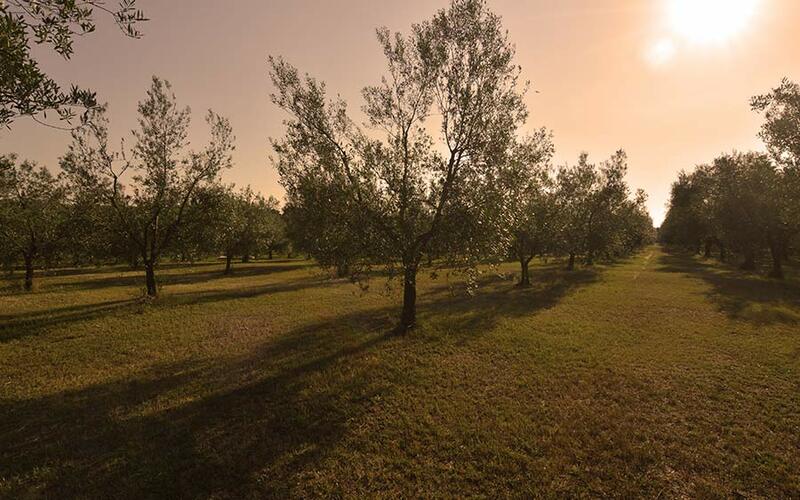 Nestled in a secular olive grove of the Tuscia countryside, our Farmhouse is named after two ancient farmsteads situated in a vast olive grove in the area of Mansarta in Vetralla. 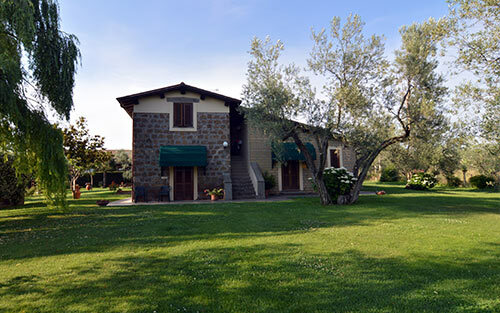 In the past, the two farmsteads provided the backdrop for intense rural life of this area. 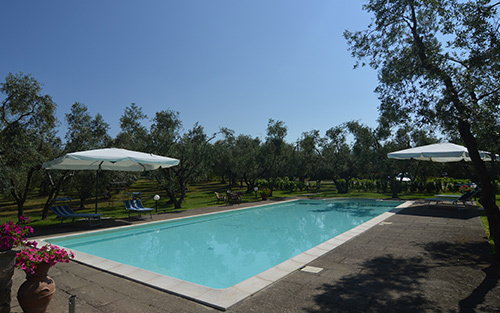 Today, after a detailed building restoration and enlargement of one of two farmsteads, I Due Casali Farmhouse features a restaurant with an outdoor lounge, three self contained apartments, three double bedrooms and an outdoor swimming pool surrounded by landscaped olive grove. 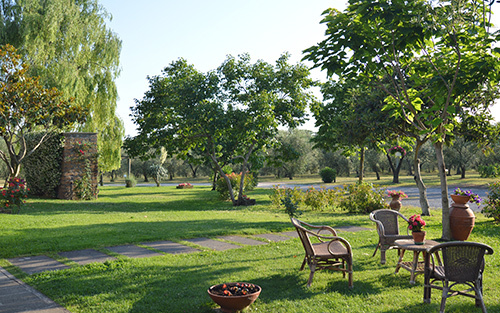 In order to increase our guests’ satisfaction, we pay attention to the smallest details during their stay in the Farmhouse. 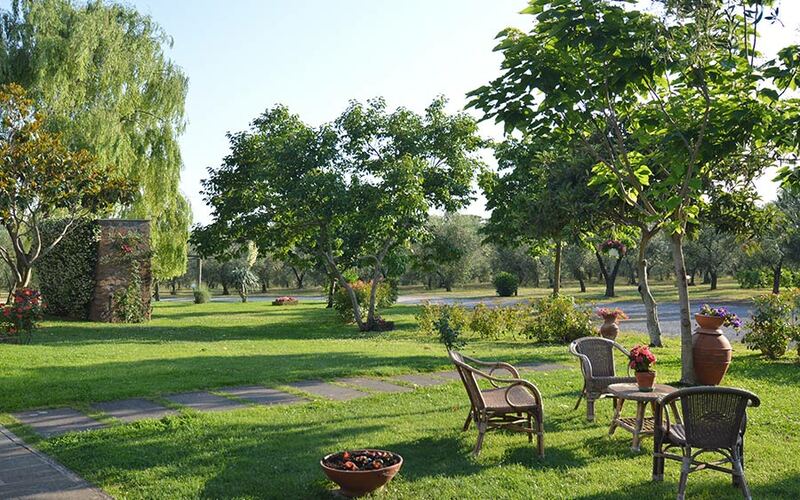 It’s our goal to provide the best possible experience for our guests, offer them the tranquil wellbeing, personalize their needs to best fit their desire, organize walks and trips amidst nature, ensure they have an unforgettable, relaxing and comfortable stay. 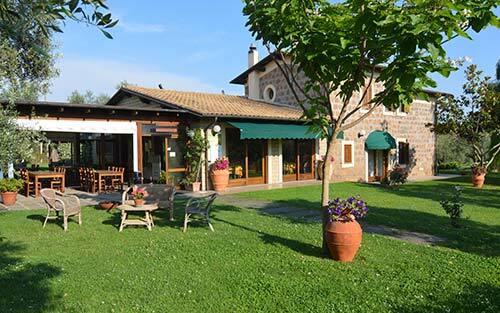 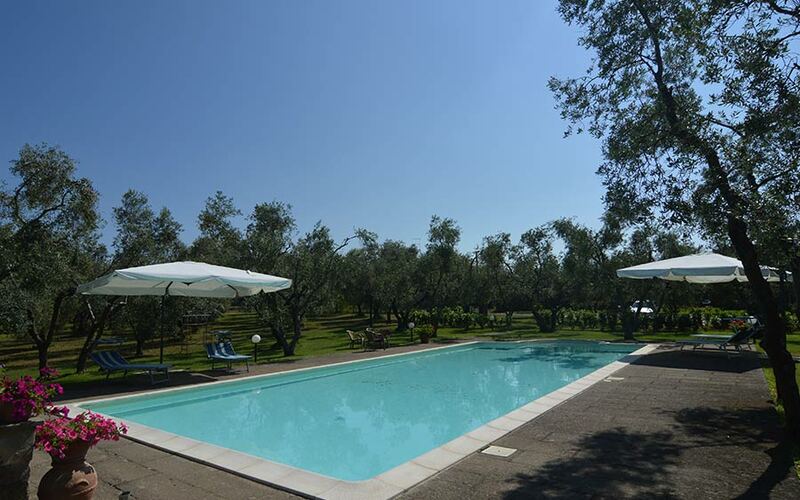 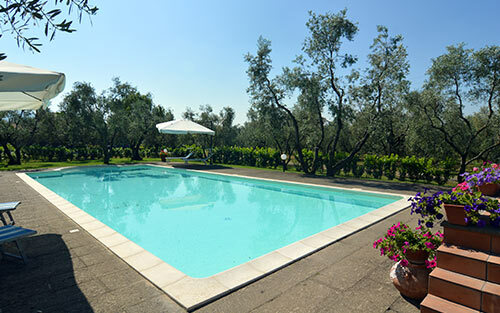 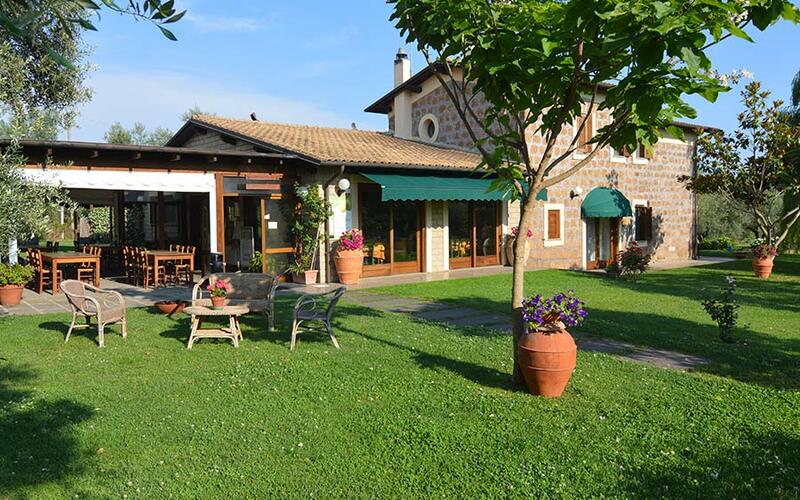 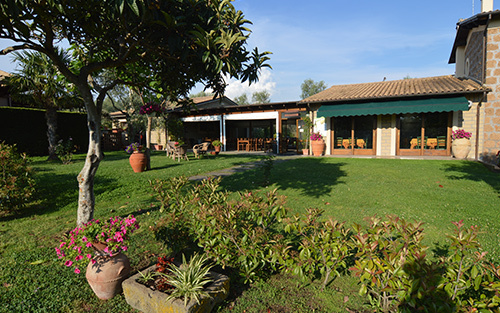 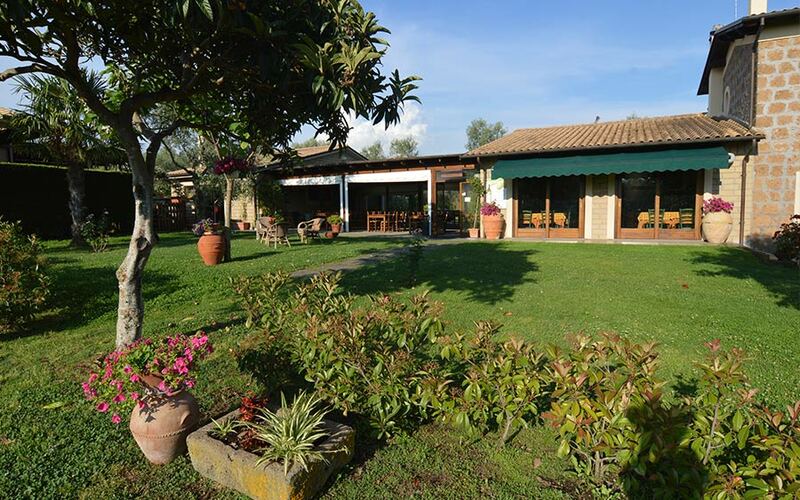 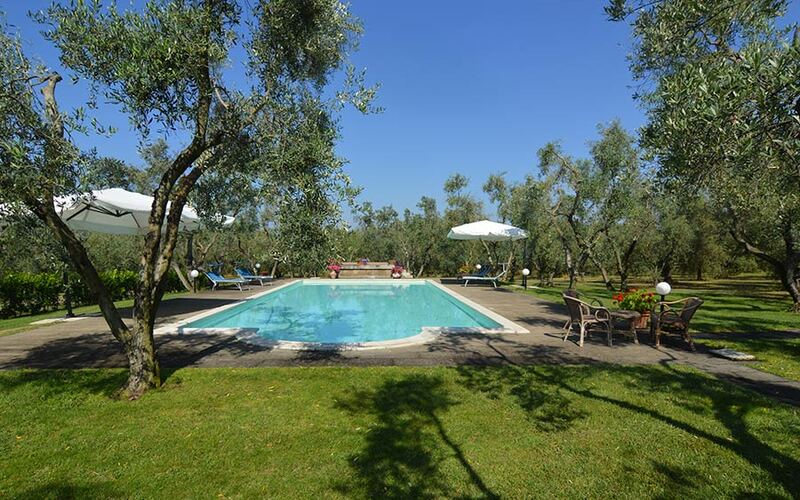 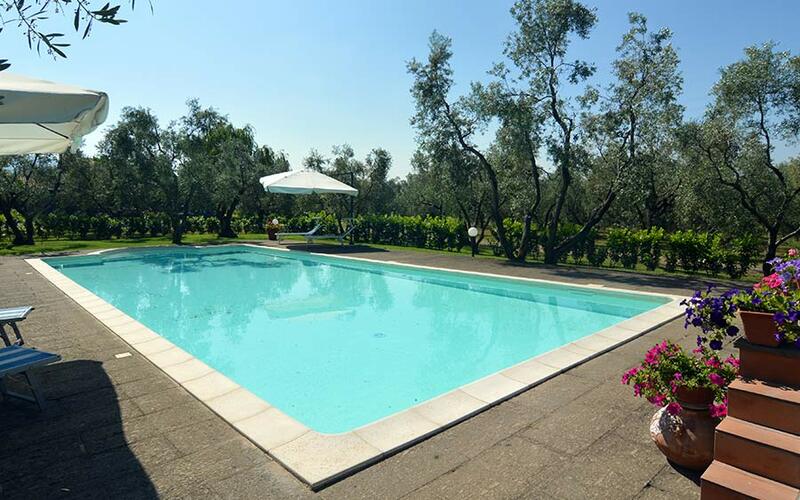 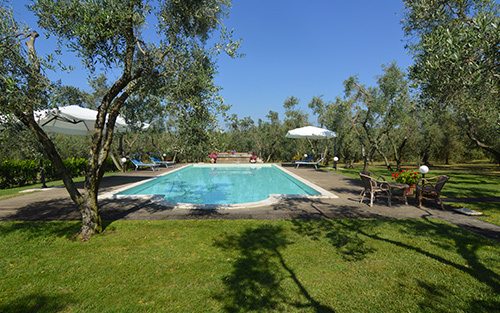 I Due Casali Farmhouse is perfectly located for visiting Rome (70 km), the pope’s city Viterbo (13 km), ancient Etruscan places, the sea in Tarquinia Lido (30 km), Farnese Palace in Caprarola (30 km) and Tuscania (20 km). 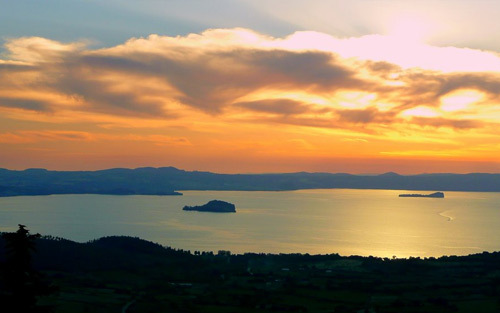 The crater lakes of Vico and Bolsena as well as thermal and sulphur water springs are all within easy reach. 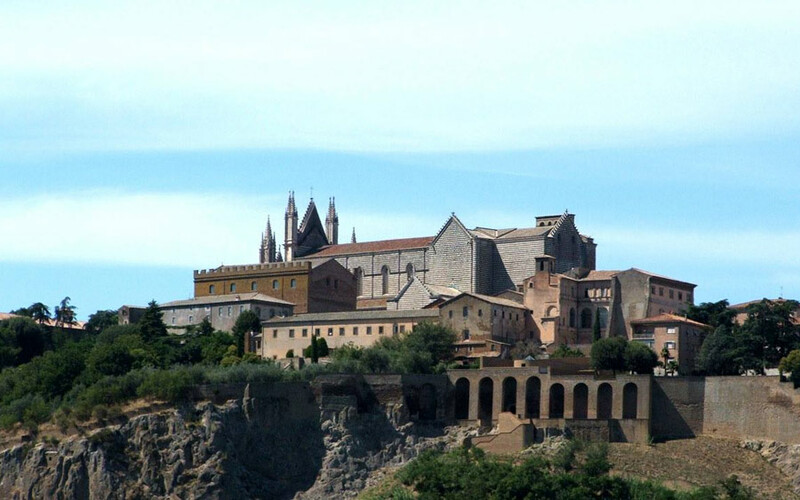 Viterbo is an ancient city famous for its perfectly preserved medieval quarter (San Pellegrino). 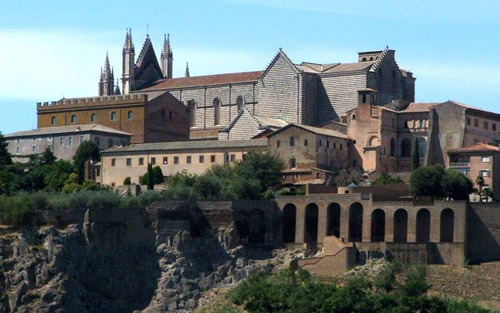 The former seat of popes features numerous attractions: Papal Palace, Cathedral of Saint Lawrence, Town Hall etc. 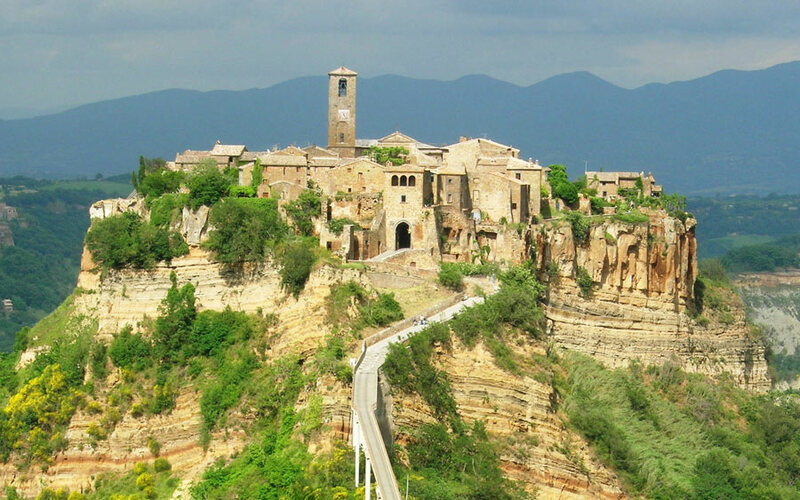 Civita is noted for its striking position atop a plateau of friable volcanic tuff. 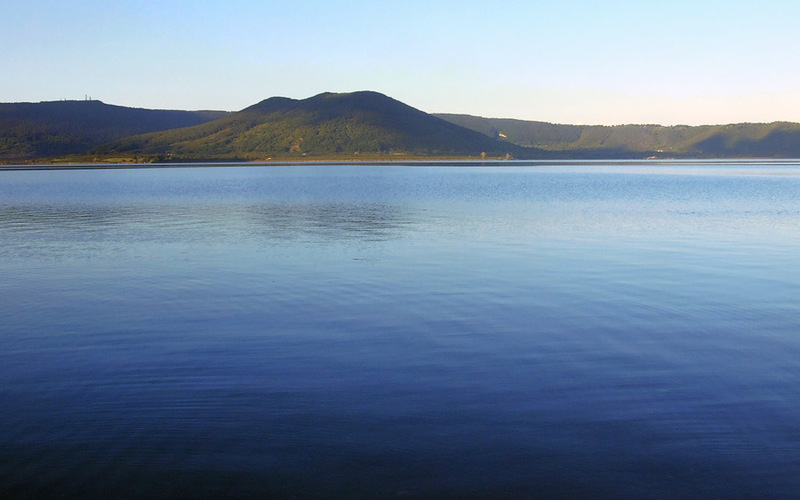 It is in constant danger of destruction as the edges of the plateau collapse due to erosion. 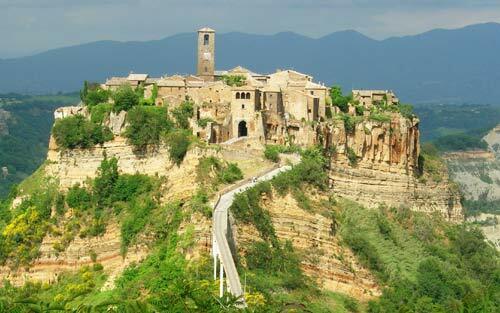 In fact, Civita is known as “the town that is dying”. 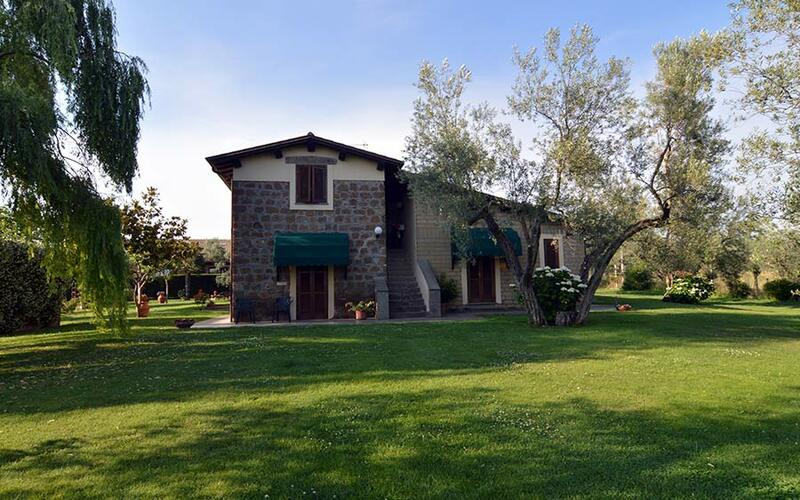 Reachable only by way of a footbridge suspended at great height over the valley, Civita is also much admired for its architecture spanning several hundred years. 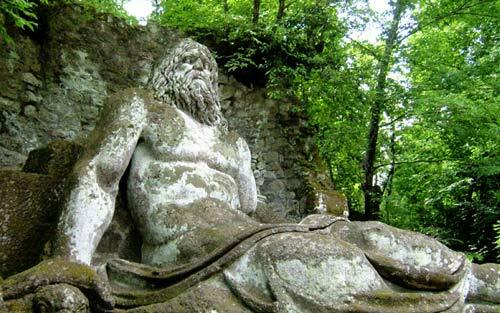 The Villa delle Meraviglie or Sacro Bosco (Sacred Grove), colloquially called Park of the Monsters, also named Garden of Bomarzo, is a monumental complex created in the 16th century. 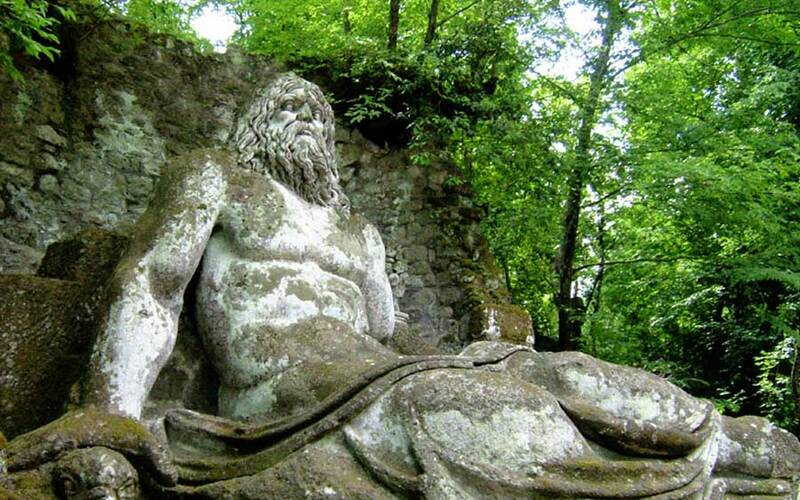 Situated in Bomarzo, on the slopes of the Cimini Hills, the garden is populated by sculptures and small buildings scattered among the natural vegetation. 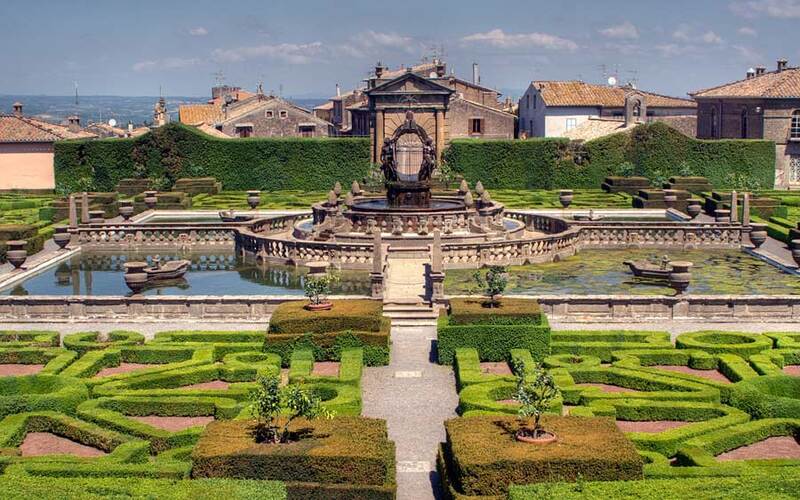 VOne of Italy’s greatest gardens, the sixteenth-century Mannerist garden of surprise Villa Lante at Bagnaia is a great relic of aristocratic grandeur. 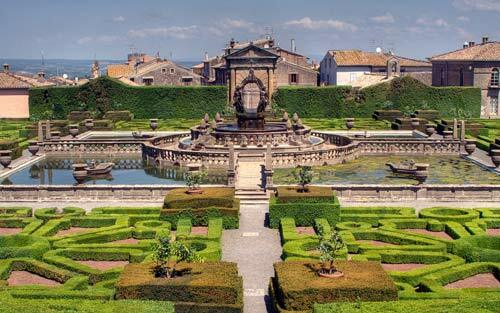 In 2011 it was voted the “most beautiful park in Italy”. 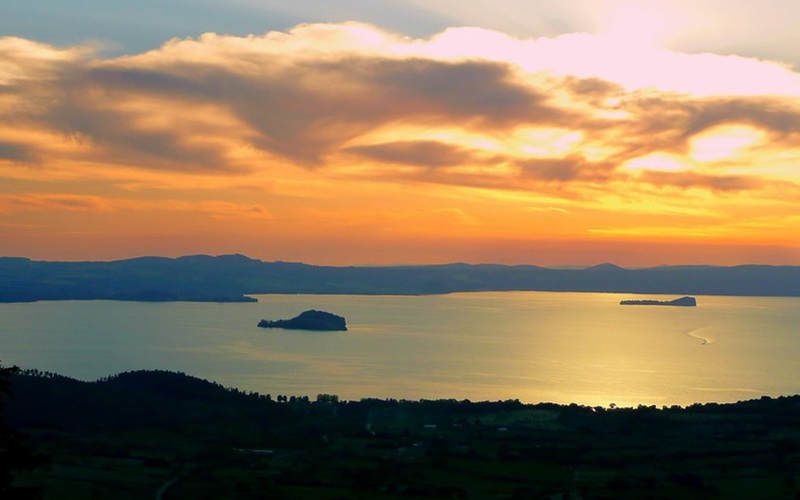 Lake Vico is a crater lake surrounded by the Cimini Hills. 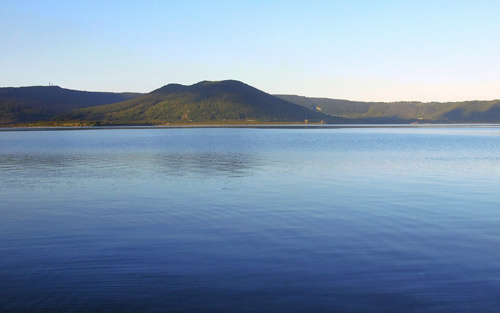 The Lake Vico natural reserve has a large variety of rare and endemic plants, extensive Turkey oak and beech forest, as well as a rich fauna. 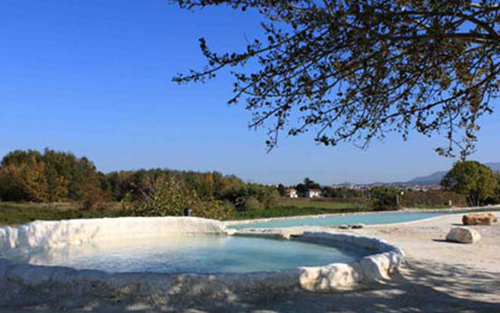 Natural hot springs of Le Masse di San Sisto are situated in the extreme southern portion of the thermal area of Viterbo, next to the junction Orte-Viterbo on the Cassia Sud highway (Paliano location). 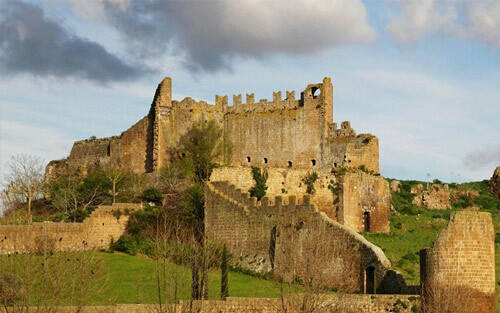 The town of Tuscania lies on seven tuff hills overlooking the beautiful valley of River Marta. 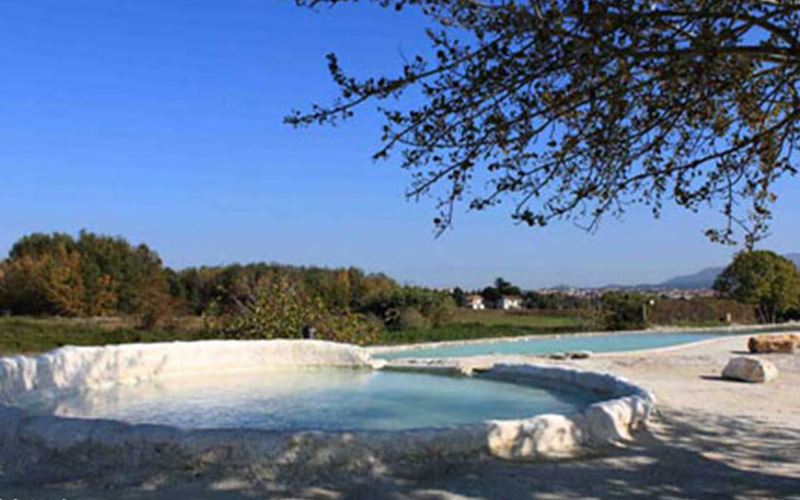 The distance between Tuscania and Viterbo is only 18 km. 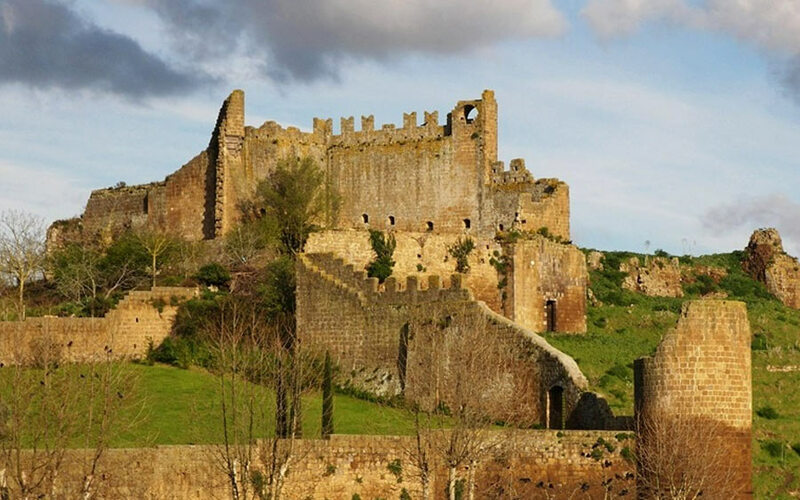 The town of Bolsena, situated on the eastern shore of Lake Bolsena, has the intact medieval quarter. 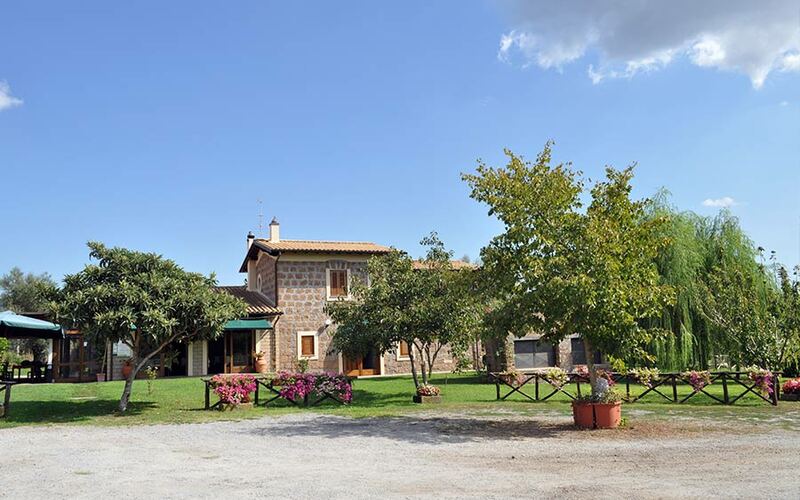 Basilica of Saint Christina, Fountain of Saint Rocco, Porta di San Giovanni and San Francesco can be admired in its beautiful city centre. 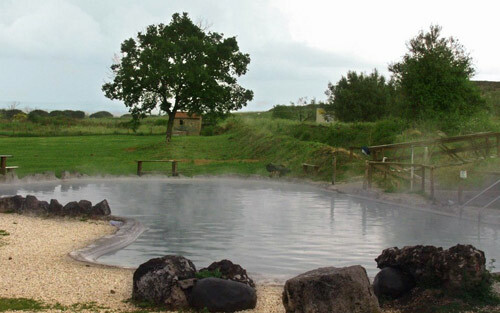 At only 2.5 km from Viterbo, this thermal complex is located next to the park of the same name, 300 m from the intersection of Tuscanese Road and Terme Road. 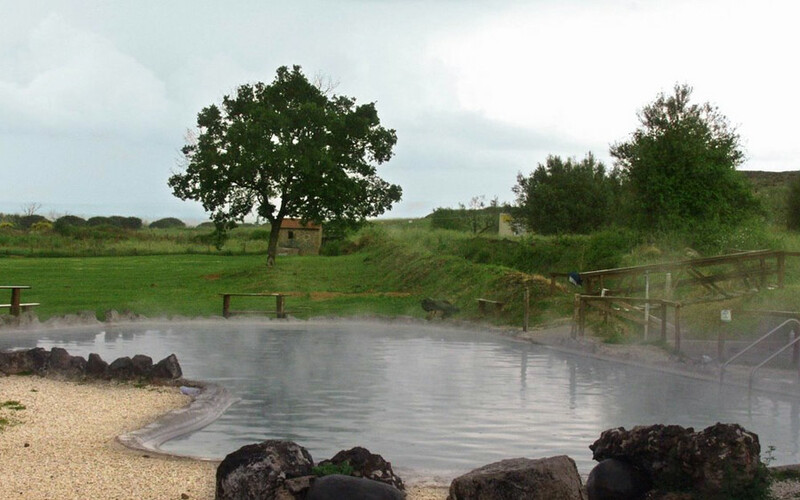 Visitors can enjoy bathing in its hot spring pools.